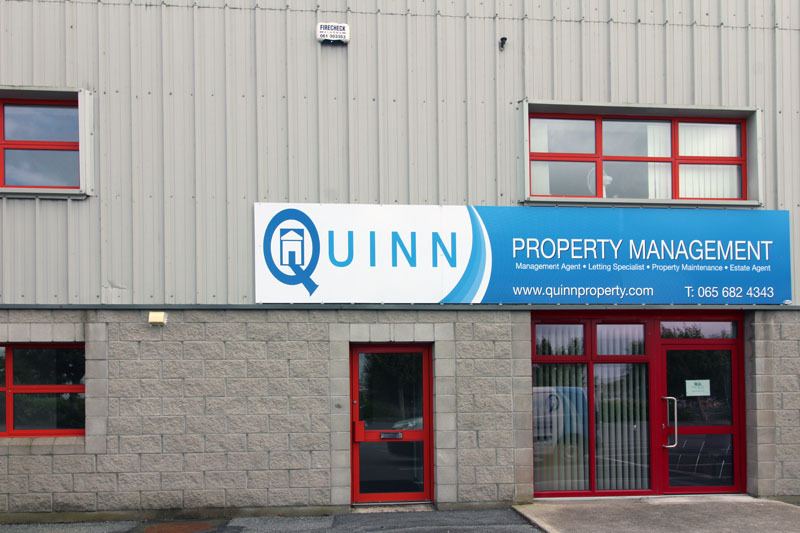 Quinn Property Management is one of the largest property services companies in the Munster and the Mid-West region. We provide property expertise across a range of areas, including Block Management, Lettings, Sales and Valuations. We are accredited with the Society of Chartered Surveyors Ireland (SCSI) and the Royal Institute of Chartered Surveyors (RICS) and our experienced property managers are registered with the Property Services Regulatory Authority (PSRA). Neal Quinn joined Quinn Property Management after more than a decade trading in capital markets for international banks both in Ireland and abroad. His educational background in Investment/Finance holding a BSc in Financial Mathematics and Economics from NUIG and an MSc Investment and Treasury from DCU have added a different perspective to the Quinn Property Management Portfolio. In particular Neal's return focused strategy with investors and receivers has ensured that the mandates under Quinn Property Management's remit have expanded substantially in recent years. Neal has also obtained a Higher Certificate in Property Studies, holds all 4 licenses by the Property Regulatory Authority and is an Associate Member of both the SCSI and RICS. Given his background, he has a particular passion for valuations and has also been key in expanding this business line at Quinn Property Management. Fintan Quinn founded Quinn Property Management in 1998. He has been at the forefront of property management in the West of Ireland since that time. He was initially a member of the IPFMA and is now a professional member of both SCSI and RICS. Fintan holds a BA from NUIG and a Higher Diploma in Education. Fintan expanded the firm from a one-man operation focused on Property Management to one that covers multiple counties across all major property business lines and has a team of property managers. Fintan has seen both the ups and downs of the property industry and brings invaluable experience to all members of the Quinn Property Management team. Our professional services are targeted towards property owners, landlords and tenants in the areas of Property Management, Residential lettings, Sales and Valuations. Our Property Management Services cater for residential estate management, industrial estates and commercial management along with the management of mixed use developments. No two developments are the same therefore we tailor our service packages to suit each individual development. We are always interested in opportunities for the possible appointment as managing agent for any management company type. In terms of residential lettings, we are looking for good quality properties to match with superior tenants. We provide very competitive rates for one-off lettings and in addition offer day-to-day management of rental units, allowing landlords to take a backseat when it comes to dealing with tenant queries. Our service also allows for evening and weekend viewings, to suit everyone's schedule. The sale services we offer include residential property sales, commercial property sales and site sales. Utilising our knowledge of the current sale market, we can provide you with a realistic, free of charge market valuation for the sale of your property or site. Following the free valuation assessment, we will prepare a Marketing & Sales proposal tailored to suit you and your property. At Quinn Property Management, our property services also include valuations on all aspects of Residential and Commercial property and land throughout the West Munster region. We guarantee to provide you with exceptional customer service which includes our knowledge and expertise on the local area, in order to obtain a precise, professional and accurate valuation report. We are happy to discuss any of our professional services further so please don't hesitate to contact us.